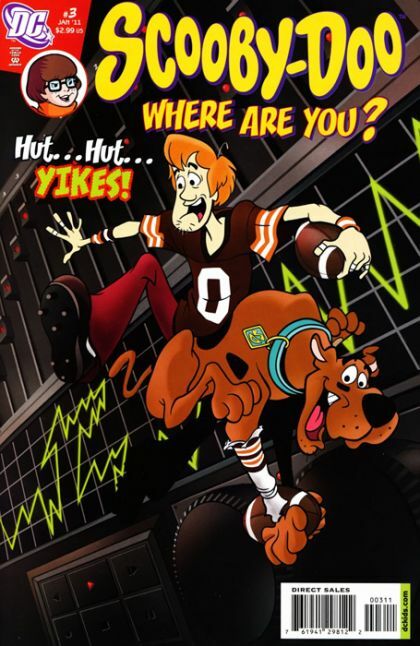 Written by SCOTT GROSS Art and cover by SCOTT GROSS Every evening, Scooby and friends tune in to Marty the Maniac's sports radio show. When Clevertown's football team has its best season in years, their rivals in Pittsland are taunted incessantly on the air. That is, until the broadcast is interrupted by a haunting voice claiming to be the ghost of legendary Pittsland fullback, Terrible Terry.